I have been practicing yoga at YogaWorks Larkspur for some time, and was delighted at the opportunity to show a piece of my work there. I chose a photograph from my Mist Series to compliment the serene atmosphere of the yoga studio, and invite a moment of calm in the hallways between the studios. 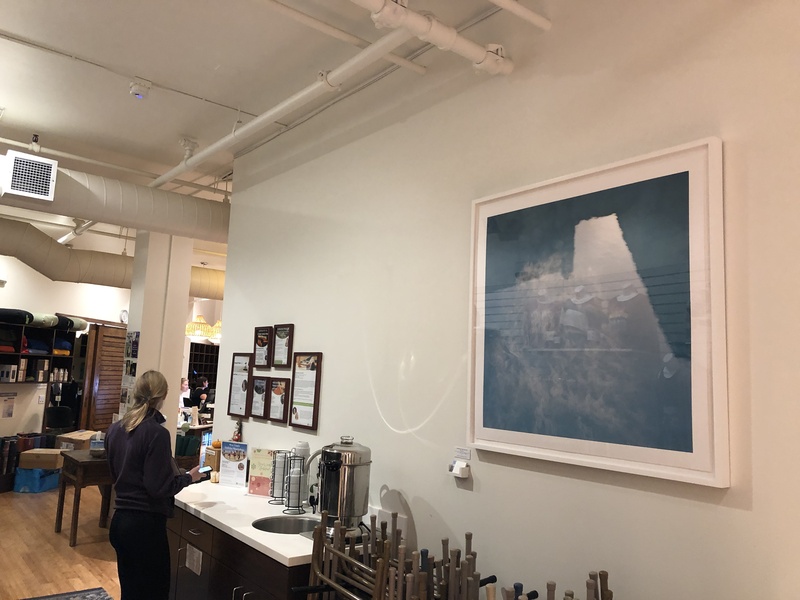 Next time you’re practicing at YogaWorks in the Marin County Mart, look for the large photography hanging beside the tea stand. The framed print shown at YogaWorks is for sale. For other sizes or loose prints, contact us here.